Whichever way you look at it blowing or vacuuming are about moving air, either drawing it in or firing it out. Subsequently, the speed or velocity of the air moved is what is important in these machines, as well as the volume of air shifted. Blowers - airspeed/velocity can be measured in many ways, KPH (Kilometres Per Hour) (MPH (Miles Per Hour) MPS (Metres Per Second) and sometimes metres per hour. 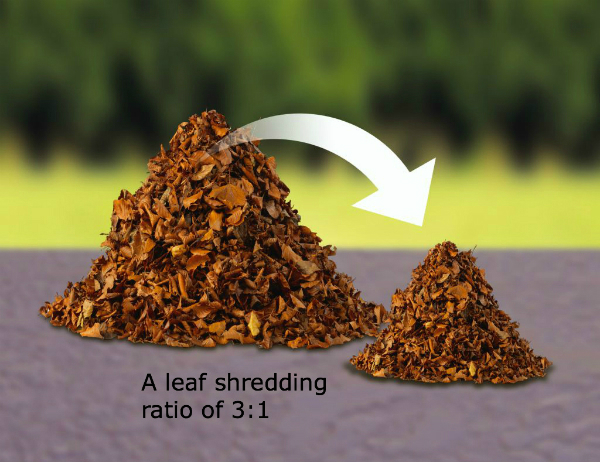 Shredding ratio: This is very important. You can get far more into a bag if the fragments are chopped smaller, reducing air space between the pieces. Also, the smaller the pieces, the better compost they make. The higher the ratio, the smaller the pieces and, generally, the more efficient the shredder.